Brian Gavin Review: Highest Quality Diamond? A Brian Gavin diamond is among the highest quality diamonds you will find. Brian Gavin (known as "Brian the Cutter") is a huge name in the diamond world. A 5th generation diamond cutter from South Africa, he's internationally renowned for his extensive research in diamond cutting and light performance. He is the most well-known pioneer and leading authority on "hearts and arrows" diamonds. All in-house diamonds come with actual images: Idealscope and ASET light performance imaging as well as hearts & arrows imaging. All the information is completely transparent so you can be sure of the quality. Tip: Brian Gavin also co-founded Whiteflash, where you can find his acclaimed A CUT ABOVE® hearts and arrows diamonds. Signature round hearts & arrows diamonds: These super-ideal cut diamonds have precise optical symmetry and ideal proportions for superior light performance. Signature cushion hearts & arrows diamonds: Brian Gavin has patented a cut for the cushion diamond that replicates the hearts and arrows (H&A) patterning. These diamonds are cut with the same exacting cuts as the round H&A diamonds, resulting in maximum brilliance and fire. Super ideal princess cut diamonds: Exclusive line of princess diamonds cut in Brian Gavin's own special cut. This creates the most balanced look and light return for the princess cut. Brian Gavin Blue: These are diamonds with medium to strong fluorescence. Brian Gavin himself has inspected each to make sure there are no negative effects on performance. For you, this means a diamond for good value. Brian Gavin Cape series: These are larger diamonds with a warm, yellow tint (color M or below). This line offers a good opportunity to buy a larger diamond at an affordable price. Brian Gavin Black series: These are high quality diamonds cut with Brian Gavin's patent-pending most exacting cut technique. He has refined the ancillary angles to make the diamond even more brilliant. Signature Advance Selection: Diamonds can go fast at Brian Gavin, so this selection allows you to pre-order one while it's still at the laboratory. You are guaranteed the stone's quality and minimum size. Fancy colored diamonds: Want a diamond of another color? 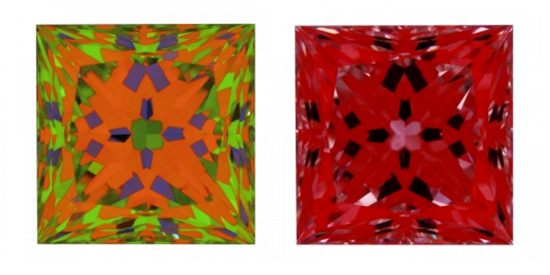 Brian Gavin has a selection of fancy colored diamonds across the entire color spectrum in their virtual inventory. Designer rings: Besides Brian Gavin's own collections of ring settings, it also offers rings by Sholdt, Jeff Cooper, and Furrer Jacot. Keep on reading. We'll go into detail for all of these. Tip: In addition to their in-house diamonds, Brian Gavin also offers a huge virtual selection from other vendors around the country, in all shapes. All virtual selection diamonds are required to be GIA or AGS certified and within a certain cut standard. 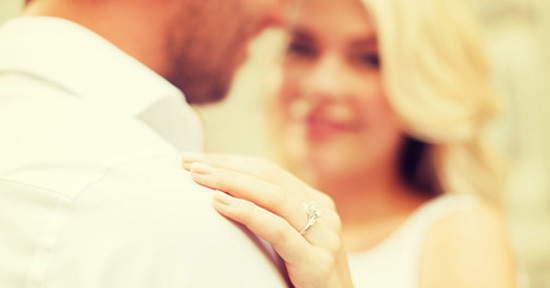 Brian Gavin is known for its Signature super ideal diamonds. When a diamond is called super ideal, it must have two things: 1) perfect proportions for maximum fire and brilliance, and 2) precise optical symmetry. Achieving this requires specialized skills and extreme precision. A grade of AGS Triple Ideal means a rating of AGS0 in each of the three areas of light performance, polish, and symmetry. This is the best cut grade possible. Hearts & arrows diamonds is the finest version of super-ideal cut diamonds. This means that the diamond has precise optical symmetry. It has a perfectly lined up pattern of hearts and arrows when viewed through an H&A viewer (you'll see arrows when viewing down from the top and hearts when looking from the bottom). Below is an example of a randomly selected Signature Round diamond. From right to left are the images from the H&A viewer, ASET scope, and Idealscope. These images show a precise symmetry of hearts & arrows pattern and about as excellent a light performance as you can get. Both ASET and Idealscope images show a lot of red with no black or white spots (which indicate light leakage). What is really special is that Brian Gavin has H&A cushion cut diamonds. Normally fancy cut diamonds aren't given a cut grade, so there is no emphasis on ideal proportions. Because of this, many fancy cuts (like the popular cushion cut) have poor light performance. But Brian Gavin has created a super ideal cut for cushion diamonds that exhibit the same level of brilliance and H&A patterning as his round diamonds. As you can see, the H&A patterning is precise with symmetrical shapes. And both ASET and Idealscope images show superior light return. Watch out: Cushion diamonds are known for being more affordable, but because of the precision and extra loss of material involved, the Signature cushion diamonds are priced higher. Brian Gavin also offers Select cushion diamonds certified by GIA, which is not given a cut grade. Here, you can find a cushion shaped diamond at a good value - as much as half the price of a Brian Gavin Signature H&A cushion (with all other characteristics being the same). The princess cut is the 2nd most popular diamond shape. It's edgy and modern, yet still dainty. It's also beloved for the fact that it's nearly as brilliant as the round cut. However, as we mentioned, fancy cut diamonds usually aren't held to the same cut standards. Brian Gavin has created a cut technique for the princess shape diamond to exbibit the maximum light performance possible. His Signature Princess cut has 53 facets (32 on the pavilion, 20 on the crown, and 1 for the table), as opposed to the usual 57 or 76 facets. It has a 3-chevron configuration in the pavilion for more contrast and scintillation. He believes that this cut design gives the princess diamond the most visually beautiful look and performance. All his Signature Princess cut diamonds have achieved a cut grade of AGS Triple 0. 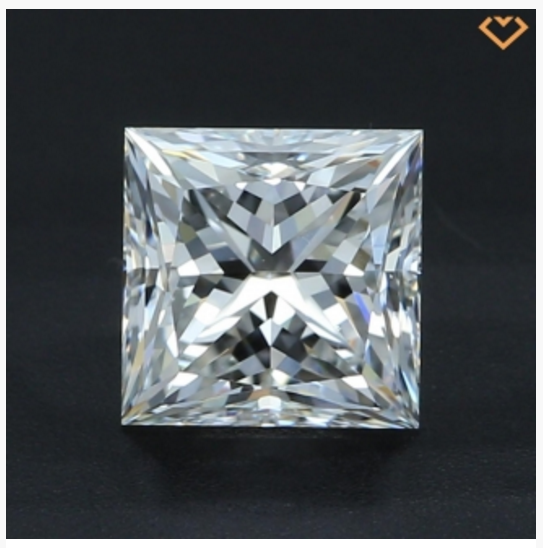 Let's look at an example of a randomly selected princess cut stone. The ASET image (the first one) reveals mostly red, which means intense light return. The blue areas show contrast, which translates to scintillation (flashes of light as the diamond moves). The green means areas of lower light return, so you want to see less of this. There is very minimal black, which indicates light leakage. In the Idealscope image, we see almost all red, which means light return. These images reveal an exceptional princess cut diamond. Tip: A CUT ABOVE® princess-cut diamonds can be found at Whiteflash. Fluorescence is a natural phenomenon that occurs in about a third of all diamonds. This is when the diamond shows a colored glow under ultraviolet (UV) light. In most cases, it's a blue glow. This effect has been hugely debated in the diamond world. Generally, it is thought that diamonds with stronger fluorescence will have a cloudy look. But in reality, most diamonds with fluorescence show no visible difference (and sometimes, it even helps make a diamond appear whiter!). However, because of this negative stigma, diamonds with fluorescence are often priced at a slight discount. Brian Gavin's Blue is their line of Signature diamonds with medium-strong fluorescence. 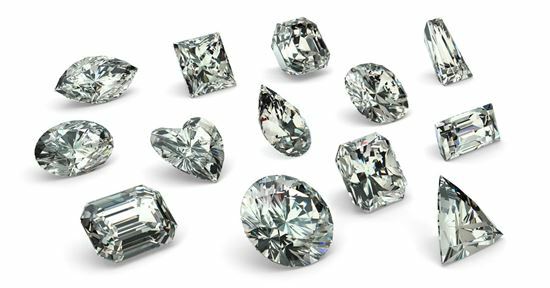 Each diamond is still super-ideal cut with an AGS grade of 0 for light performance. Each stone has been carefully inspected by Brian Gavin himself to ensure that the fluorescence has no negative effect. This means great value for you. Since diamonds with fluorescence are typically traded at a discount, you can grab a Blue diamond at a great price - as much as 15% less. 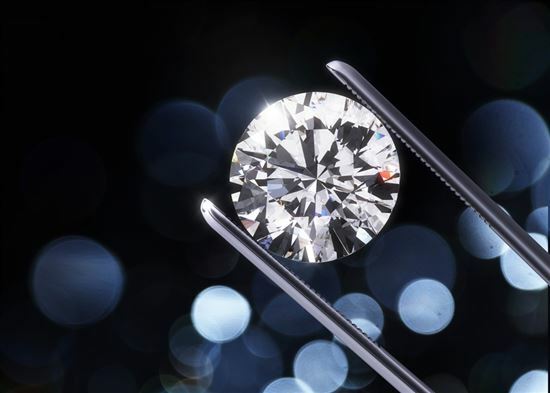 Check out the price difference between these 2 diamonds of similar characteristics. Both are around the same size, have color of H, and clarity of SI1 (both viewed to be eye-clean). The diamond on the right costs more than $1,000 more than the Blue diamond on the left. Personally, I think diamonds with fluorescence are unique and beautiful. Some may have a pretty, icy-blue glow in sunlight. If you like this effect, consider Brian Gavin's Blue line. 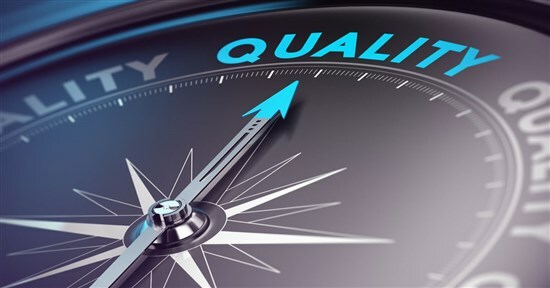 Each diamond has already been vetted that there is no cloudiness or effect on performance. "Diamonds that shine like the sun" - this the motto of Brian Gavin's Cape series. When you think of the sun, a warm golden glow comes to mind. The Cape series includes Brian Gavin's diamonds lower on the color scale, so that they exhibit a yellow warmth. Did you know? 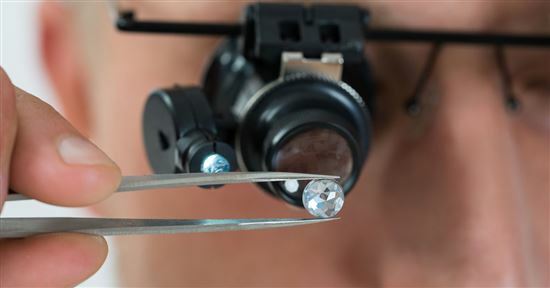 The discovery of diamonds in Cape Town is what started mass diamond production. Because of the vast diamond resource in this area, diamonds were made available to normal people for the first time. Diamonds from this area tend to be yellower in color (K to Z on the diamond color scale). So over time, diamonds with faint to light yellow tints started to be referred to as "cape diamonds." Brian Gavin's Cape diamonds have a color grading of M or below and are in higher carat weights (over 1 carat, 1 carat). Most diamond retailers don't sell diamonds for engagement rings below a K, as anything less will show a yellow tint even to an untrained eye. But with the right cut and setting, even lower colored diamonds can look beautiful in an engagement ring. All of Brian Gavin's Cape diamonds are cut to the same strict standards as any other Signature diamond. As you can see from the example of the Cape diamond above, it shows superior ASET light performance and precise H&A patterning. Both diamonds are similar in size and have clarity of VS1. The diamond on the right, however, is colorless and the Cape diamond on the left has a color of O (very light yellow). And it is literally just a fraction of the price! Now, you will definitely see the yellow tint in these diamonds. If you're considering one because of the price advantage, you just need to style it right. Yellow gold or rose gold jewelry will complement a warm-toned diamond and accentuate the golden sparkle. Even though Brian Gavin has achieved the super ideal cut grading, there's always room for improvement, right? The Black collection is the result of decades of light performance study and craftsmanship. It is Brian Gavin's finest diamond collection, with unmatched brilliance and quality. So what's different between the Black line and the Signature diamonds? Brian Gavin has refined the cut angles even more in the Black series. In simple terms, the ancillary angles (upper girdle, lower girdle, and star) were fine-tuned to return even more light to the viewer's eyes. This eliminates low-medium light zones. The diamond on the right is a 1-carat diamond from the Black line. The diamond on the left is a 1-carat diamond from the Signature collection. The Black diamond is all bright red in the center, which means the most light return. There is also less green, which means areas of low light. Because of the diamond quality, extreme precision, and extra cutting of materials, the diamonds in this line are priced higher. Is it worth the extra premium? We think that in reality, you probably won't notice a difference. Because of the small stock, Brian Gavin's inventory moves fast. You may find the perfect rock, only for it to be gone a couple of days later. Thus begins a new search process. To help you find a diamond faster, Brian Gavin introduced the Signature Advance Selection. Essentially, you can "pre-order" a diamond while it's still at the AGS laboratory. The diamond will be delivered straight from the AGS lab to you. If it's not what you expected, then don't worry. The same return policy applies. You get 15 days to decide if you want to keep it or not. If not, simply tell Brian Gavin and send it back. See more details on the return policy below. Returns: You only get 15 days to decide if you want to keep the diamond or not. Day 1 is the day you receive the package. If you don't want to keep it, you must email Brian Gavin before the 15th day. They will send you a Return Authorization Number, which you need to write on the outside of the package. It must be postmarked no later than the 15th day. And it needs to be returned via USPS Registered/Insured Mail (for the amount of your purchase). Note that there are some things that cannot be returned, such as a bezel setting and custom design. Resizing: Brian Gavin offers one free ring resizing for one size up or down. If it's more than one size, there will be additional charges. Please note that settings like a full eternity band cannot be resized. Lifetime Warranty: All jewelry purchased from Brian Gavin carries a lifetime warranty against manufacturer defects. However, it must not have been worked on by another jeweler. 100% Lifetime Upgrade: At any point, you can swap out your diamond for a stone that's worth the same or more. You can apply 100% of the original purchase price towards the new diamond. You just must have the original certificate. And you must upgrade in 2 of the following variables: size, color, and clarity. Buy back: What if you change your mind after the 15-day return period? Brian Gavin offers a one-year buy back policy for 70% of the purchase price. This is only valid for their Signature Hearts & Arrows and Blue diamonds. The diamond must be undamaged and have its original, undamaged certificate. Discounts: There is a 3% discount if you pay with bank wire, check, or money order. This discount is only for Signature Hearts and Arrows and Blue diamonds. For Brian Gavin Select and everything else, the discount is 1%. Short return period. You only get 15 days for the full money-back return. This is probably enough to decide if you like the diamond/ring or not. But may not be enough time if you're still planning the proposal. So make sure you already have it planned before you order. Small inventory. The inventory is small to begin with, and the diamonds can go fast too. For example, at the time of this review, there is only 1 option for a diamond that is approximately 1-carat, H, VS2. If you're looking for a very specific carat, color, and clarity, you may not have too many choices. In-house diamonds only have round, princess, and cushion cuts. Brian Gavin has only created ideal cuts for these shapes. If you're looking for another shape, you can find it in the virtual inventory, but you won't get the light performance data up front. After you place your order, the diamond will be brought in for evaluation and the data provided to you. Tip: If you're looking for another shape, we recommend a browse at James Allen. You'll find HD 360-degree videos of every actual diamond. Using them, you can decide if you see flaws and spin it around to see how it sparkles. Pricier than some online retailers. Fancy cut stones, like the cushion and princess, generally cost a lot less than round (as much as 30%). So people usually love them for being more affordable. But be aware that Brian Gavin's cushion and princess diamonds are more expensive because of the precision of the cuts. They can be as much as 40% more than from elsewhere. But it's the higher quality you're paying for. Brian Gavin offers a 15-day return policy. The return package must be returned via USPS Registered/Insured Mail for the amount of your purchase. The original FedEx shipping/insurance charges will be deducted from your refund. Bezel settings, custom items, and designer rings cannot be returned. All in-stock diamonds (A CUT ABOVE, Expert Selection and Premium Select) and regular catalogue items are covered by a full 30 day money back guarantee. 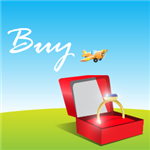 Diamonds from our Virtual Selection category as well as diamonds and jewelry that may be sourced for you from outside vendors are covered by a 10 day money back guarantee. Lifetime warranty against on all manufacturing defects. Must not have been worked on by another jeweler. 1 year service policy. This benefit covers refinishing and repairs to the metals and accent diamonds in your jewelry, that are the result of normal wear or manufacturing defects, for a period of one year from ship date. 1-year buy back policy on Brian Gavin Signature Hearts & Arrows diamonds and "Blue" diamonds ONLY, for 70% of the purchase price. Both diamond and AGS report must be in their original, undamaged condition. 1 year buy back guarantee on the purchase of any Whiteflash in-house certified diamond for 70% of the diamond's purchase price. This includes A CUT ABOVE®, Expert Selection, and Premium Select categories. 1 free ring resizing for 1 size up or down; extra charge for more or less than 1 size. Eternity rings cannot be resized. Customer is responsible for round-trip shipping and insurance. Rings may be resized once for free within the first year of purchase. Ring designs are limited in their range of sizeability. Eternity rings with diamonds all around are not sizeable. Lifetime upgrade policy on all Brian Gavin diamonds. Get 100% credit of the original diamond's purchase price towards a new diamond. You must upgrade in 2 of the following variables: size, color, and clarity. Diamond must have the original certificate. Lifetime Trade Up Guarantee on all diamonds in Whiteflash three in-house categories: A CUT ABOVE®, Expert Selection, and Premium Select. You may trade your qualifying Whiteflash diamond at any time for any other single in-house diamond of equal or greater value. 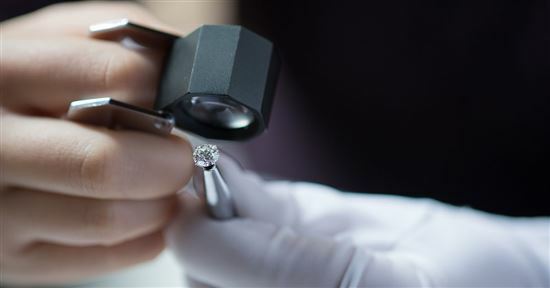 Diamonds must be returned in undamaged condition accompanied by original diamond laboratory certificate. Both are highly renowned online diamond retailers founded by the same person. What's the difference? Whiteflash offers an Expert and Premium line for diamonds that didn't quite make it into A CUT ABOVE®. These lines offer high quality diamonds at good value. Brian Gavin only offers super ideal cut diamonds (except for the Select cushion diamonds). 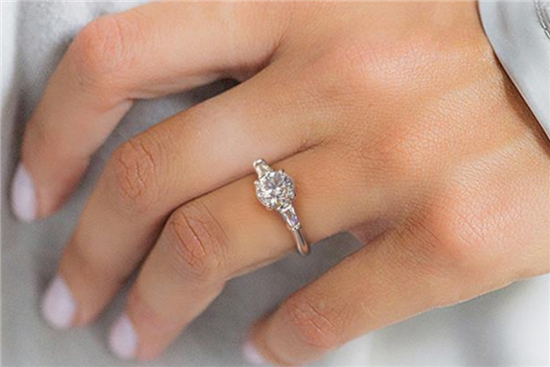 Whiteflash only has round and princess cut diamonds in their in-house inventory. Brian Gavin also has a collection of H&A cushion diamonds. All Whiteflash diamonds have negligible fluorescence. Brian Gavin's Blue line contains diamonds with medium - strong fluorescence. Whiteflash does not have diamonds below color J. Brian Gavin has a Cape series that presents great value to those on a budget. Whiteflash does not offer any fancy colored diamonds. Brian Gavin has an inventory of fancy colored diamonds from their virtual selection. In terms of Brian Gavin and Whiteflash's super-ideal round and princess cut diamonds, either site will be a great choice. If you're looking for a bargain on a high-quality round diamond, you may like Whiteflash's Premium Select and Expert lines. If you're looking for something more unique, like a diamond with fluorescence or a warm-toned diamond, you'll find it at Brian Gavin at a great price. And if you want a cushion diamond, then Brian Gavin is your man. What are their business hours? Brian Gavin's staff is available to help 24/7 by email. For phone and live chat, the hours are Monday through Thursday 8 am-8 pm, Friday 8 am-5 pm, and Sunday 9 am-1 pm (CT time). Does Brian Gavin have a showroom? Yes, Brian Gavin has a showroom located at 7322 Southwest Freeway, Arena One, Suite 1810, Houston, Texas. The hours are Monday-Thursday 9 am to 6 pm, and Friday 9 am to 5 pm. Is the Hearts and Arrows patterning worth the extra money? H&A diamonds are those with perfect three-dimensional symmetry. This affects the diamond's brilliance, especially in softer light conditions such as a cloudy day or by candlelight. A Hearts and Arrow diamond will also have improved face-up color. What is fire and scintillation? Fire is the rainbow sparkles you see as light is reflected on the diamond (while brilliance refers to the colorless sparkles). Scintillation is simply how sparkly the diamond is as it moves. As it moves, each facet will show flashes of light, which is the sparkle you see. The cut greatly affects the fire and scintillation of a diamond. What do the Idealscope and ASET images show? Both show the light performance of a diamond. They show where there is light leakage and how light is reflected back. You want a diamond that reflects a lot of light back. Idealscope uses a red reflector. You want there to be as few areas of white or faded red as possible. ASET is similar, but it shows the angles where light is entering the diamond. All you really need to know is that you want to see as little white as possible. What is AGS Triple 0? This means the diamond has achieved a grade of 0 in all three areas: light performance, polish, and symmetry. This is the highest cut grade possible. Diamonds graded as Triple 0 will have ideal proportions for maximum light return and the best visual beauty. Fluorescence is a glow the diamond has when exposed to ultraviolet light. This is a natural phenomenon that occurs is about 30% of all diamonds. 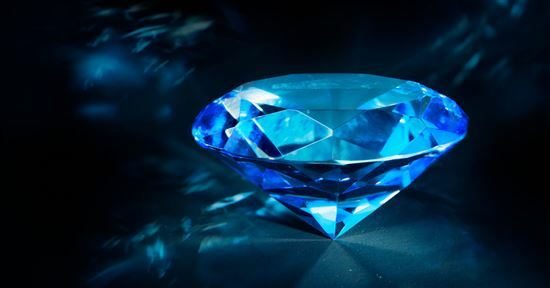 While diamonds may glow in different colors, the vast majority glow in blue. Normally, fluorescence has no visible effect (unless you walk around with a black light all day). However, because it is seen as a bad thing in the diamond industry, diamonds with fluorescence will cost less. 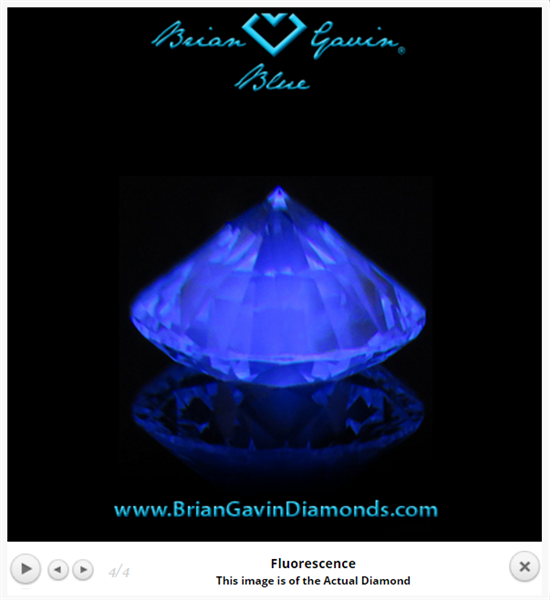 Brian Gavin's Blue line offers diamonds with medium - strong fluorescence at a great value. Does Brian Gavin do custom designs? Yes, Brian Gavin can custom design your dream ring or other jewelry through your sketches or verbal descriptions. But please note that Brian Gavin will not copy a designer setting from somewhere else. You are able to set your own diamond (or other stone) in a custom design. Can I just buy a setting from Brian Gavin? Unfortunately, Brian Gavin does not ship out empty settings. 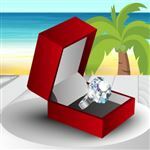 However, you can send them a diamond you purchased elsewhere and they can set it in a setting you like. The setting fee is minimum of $75. You can also work with Brian Gavin on a custom ring design and have it set with your own diamond. Are virtual inventory diamonds inspected? Yes. Brian Gavin doesn't operate on the "drop-ship" model. 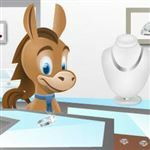 If you decide to purchase a diamond from their virtual inventory, it will be brought in for evaluation by Brian Gavin. You will receive the full range of photos, gemological data, and light performance imagery. Does Brian Gavin collect sales tax? Brian Gavin collects sales tax on all orders shipped within Texas or picked up at their showroom. No sales tax is collected on orders shipped outside of Texas. BOTTOM LINE - IS BRIAN GAVIN WORTH IT? Brian Gavin's brand is built upon the concept of ideal cut diamonds, with maximum light performance and optical symmetry. And it certainly delivers on that promise. It provides completely transparent data so you can judge the quality for yourself. We love that Brian Gavin has created innovative lines to highlight diamonds that are usually undesirable. The Blue and Cape series offer unique diamonds at a great price advantage. And you can see from the light performance data that all the diamonds are cut to the same high standards. Pricing-wise, Brian Gavin is not the cheapest you'll find. But it makes super ideal diamonds more affordable by being an online retailer. Their diamonds are priced lower than traditional big name brands (such as Hearts on Fire and Tiffany). If you are after quality at a reasonable price, Brian Gavin is certainly one of the best diamond retailers on the market. Just be aware of the few downsides we mentioned, including the short return period. Ritani gives you more confidence by allowing you to preview your ring in person before buying it. Sounds promising, but is this online jeweler good? Read on. Hearts and Arrows: Should It Make the Cut? Hearts and Arrows diamonds are also known as super ideal cut diamonds. What is it exactly and is it worth the premium? Read on to learn more.